Corporate Sustainability is a business approach goal to create long-term consumer and employee value by not only creating a "green" strategy aimed towards the natural environment, but also taking into consideration every dimension of how a business operates in the social, cultural, and economic environment. More than 50 percent of executives consider sustainability - the management of environmental, social, and governance issues - "very" or "extremely" important. Enterprises and households alike are demanding more environmentally responsible approaches to IT; but with tight budgets how do you balance green directives, network performance, and the bottom line? Green IT choices have matured over the last many years and the ServerMonkey team has been part of that process. 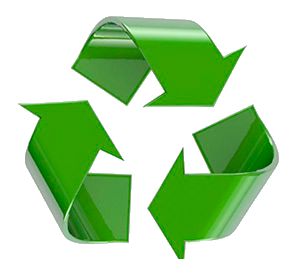 Purchasing industry certified refurbished and remanufactured hardware is one of the most environmentally responsible investments available. Not only are there the reductions in carbon from not manufacturing new equipment, but also saving landfills from non-degradable waste significantly reduces your carbon footprint. Furthermore, the cost savings are very high for professionally tested, certified and guaranteed equipment, while giving you the same piece of mind and security as new purchases. You need to know that your hardware investments are tested, secure, and guaranteed. ServerMonkey is proud to offer Green IT solutions to our clients that help protect you against the high cost of purchasing, expanding or upgrading your business critical servers and network equipment while allowing you to fulfill your commitment to environmentally responsible business choices. And we promise to not upsell you! We want to help you work with your existing computer ecosystem or upgrade only as YOU need. ServerMonkey's goal is to save you time and money by providing equal replacements so you don't have change your entire backend. Green IT business solutions mean saving money while implementing your Green Business strategies. Our packaging materials are provided with environmental protection in mind. They are made from recycled materials, including our bubble wrap, pad-pack, and boxes. Even our product flyers are made from recycled paper. We also use CFC-free polyurethane packing foam. ServerMonkey's six step process assures that every piece of hardware we sell meets or exceeds factory-new refurbished equipment standards. Follow this link to view our Quality page and a detailed discussion of our professional, industry standards procedures. ServerMonkey makes your Green IT business choices easy, affordable and secure!